How do rich and famous people usually spend New Year's Eve? Businessman Roman Abramovich, no. 53 on Forbes' list of billionaires, reportedly invited 400 of his closest friends and spent millions of dollars on a New Year's Eve bash at his estate in Gouverneur Bay of the French West Indies. Like last year's celebration in St. Barthelemy, this party also cost a reported $5 million and attracted a host of big-names including Rupert Murdoch, George Lucas, Marc Jacobs, Martha Stewart, Mischa Barton, Harvey Weinstein, Georgina Chapman and Jimmy Buffett, the New York Post reported. While some billionaires prefer celebrating in Dubai's Burj Khalifa, the tallest building in the world, and others prefer exclusive parties in Monte Carlo, Abramovich seems to like his French Caribbean property. Abramovich, who built his wealth from oil, steel and mining, this year featured his 533-foot yacht, Eclipse, reported to have cost over $250 million. Forbes reported it was the world's largest yacht delivered in 2011. Last year performers at the bash were Beyonce, Prince and Gwen Stefani; this year the rock band Red Hot Chili Peppers counted down the new year. 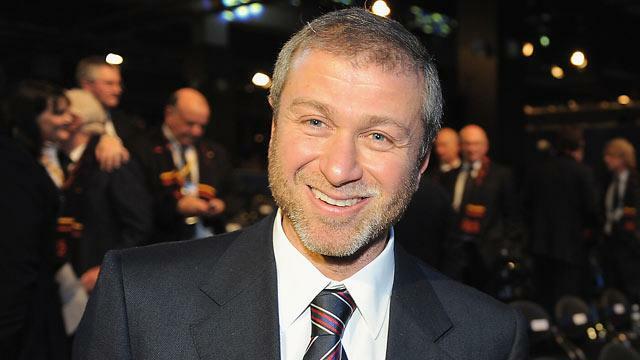 The owner of the U.K.'s Chelsea soccer team, Abramovich reportedly hosted this year's party with his girlfriend, fashion designer Dasha Zhukova. Abramovich reportedly reached a divorce settlement with ex-wife Irina in 2007, leaving her with $300 million and at least four homes in the UK.